If you are in a hurry the best sup paddle is the Super Paddles Carbon fiber sup paddle. I have to level with you, this is actually a pretty overlooked aspect of purchasing a Paddle Board. You get a paddle board and get a simple paddle, or if you’re lucky enough one comes with it, simple right?I mean a paddle is a paddle right? Not if you want to make each sup stroke count! See, having a cheap paddle that comes with the paddle board can become more of a hindrance than a blessing believe it or not. I myself have bought an inflatable paddle board that came with a paddle and while I was super stoked about it, however having the paddle get stuck in one position was less than thrilling when out on the water. 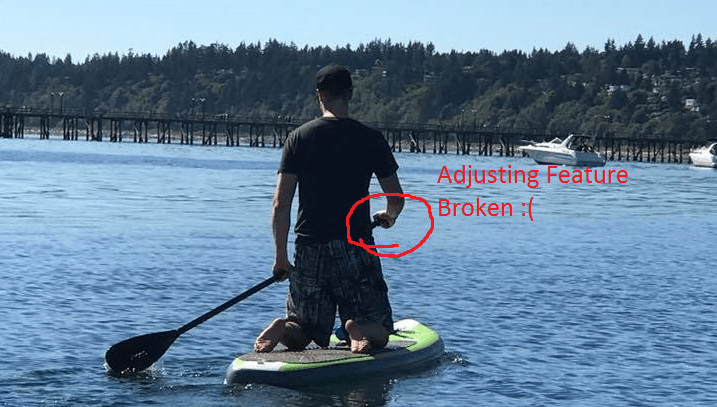 It was difficult because the adjustable knob on my board would get stuck and I would be compromised by having to paddle on my knees, which was less than ideal, especially if I was wanting to paddle for longer distances. So why get a separate SUP Paddle? Think about it, the paddle is effectively the motor (along with your stroke power) of your paddle board. If you get a nice paddle board that is meant for performance you cannot cheap out on the paddle. This is why we will be reviewing the Best Paddle Board Paddles that are Carbon, for Paddlers who want the most performance to enhance their stroke as well as the best sup paddle for people pn a budget just starting up their SUP journey. I still use an adjustable paddle because I have a bit of a sensitive back so I cannot be in one position the entire time paddling. As a result I need to adjust the paddle on the fly so that I can stand up paddle, paddle on my knees and even sit and paddle. It’s a bit unconventional but it’s a way to get the load off of my back. Aluminum shafts are best for people starting out with stand up paddle boarding. These shafts are lightweight and best of all affordable. They can be durable as well but you will not find any SUP pros using them as they are heavier than carbon and fiberglass shaft. These shafts are usually paired with plastic blades. Fiberglass is an in between to aluminum and carbon fiber in that it is a better quality shaft than aluminum but more expensive. It is also not as stiff and therefore performance oriented than carbon fiber but it is cheaper. Carbon Fiber is the lightest sup paddle made of the strongerst material and it is also the most expensive of the bunch. This is the preferred paddle material of paddle boarding racers and surfers alike. It offers a stiff base that is able to transfer each stroke with no flex which gives you the most glide per stroke in the water. This is more for the traditionalists. Wood Paddles are beautiful but will not benefit you in the long term if you are looking for performance. Similar to the fiberglass shafts fiberglass blades offer more strength and stiffness than plastic blades. the best in terms of performance but the most expensive. This is the type of blade for high performance paddlers who have experience paddle boarding. These are often the most common blades to use in Touring and Racing circumstances. These sup race paddles are best for quick sprints and longer distances. SUP Blades come in a wide range of different shapes and sizes for different sized paddlers and styles. Small/medium body types (less than 150 lbs. ): 80–90 sq. in. 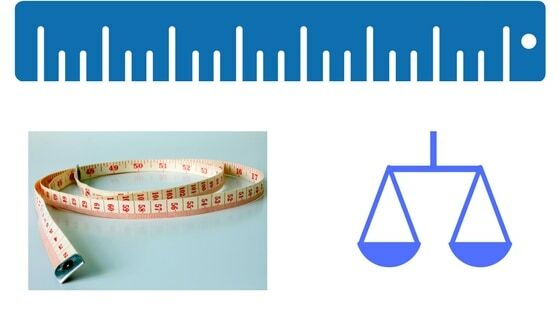 Medium/large body types (150 – 200 lbs. ): 90–100 sq. in. Large/X large body type (200+ lbs. ): 100–120 sq. in. Paddle Offset is the degree in which the blade angles from the shaft. This is done to give you more power per stroke. There are various different degrees of paddle offsets depends on the Paddle Board activity you are doing. There are also paddles that have no offset which is fine but if you looking to get some performance out of your paddle a bit of offset is ideal. Carbon fiber paddle board paddles are for those who want the most performance to go along with their paddle board. The reason why is that these paddles are the lightest paddles in the market. While the little bit of weight off compared to a regular Budget SUP Paddle may not sound like much it can feel like a big difference after more then an hour of paddling. If you are getting a touring paddle board or race board these are absolutely essential as they can be the difference between burning out and keeping performance and rhythm with each stroke. This is especially true if you plan on entering SUP competitions in the future. For performance you do have to pay a price however so often times these paddles are not the best for those on a budget. Having said they they will be stronger and more durable as well as weather resistant over time so you may want to keep that in mind as well. I know if I had to do it all over again I would of started with a sup paddle carbon fiber make. The Carbon SUP paddle from Super Paddles is excellent when it comes to performance and durability. You can go cruising, touring, grooving, surfing, or racing with ease. This carbon fiber paddle board paddle has a carbon shaft, nylon blade, and the screws are made of stainless steel. It doesn’t matter what your paddle collides with, it will stay strong. Another great feature of the paddle is that though it is so strong and durable, it is still quite light and it floats in the water. The paddle comes in three pieces so you can adjust the paddle from 72 inches to 86 inches. This makes it perfect for someone who has a height of over 5 feet. It is easy to set up and takes less 20 seconds to have it ready. The paddle comes with a strong three compartment paddle bag. You can just put your bag over your shoulder. You can travel with ease with this paddle bag. It is made of strong nylon material and has foam padding. The bag has a heat-reflective inner lining made of aluminum. This makes sure that the paddle doesn’t get too hot. The best thing about this paddle is that it gives you a 12-month replacement guarantee. There is a high possibility that you won’t need to use the guarantee. Most of the customers were impressed with it as it is light and durable. There were a couple comments that the screws which hold the clamp loosen, but you can easily fix that with a screwdriver. The best feature of the iGK Pure Carbon Fiber SUP Paddle is that it has great performance and is very light. It weighs just 1.8 pounds. It can float in fresh water and salt water. You can easily adjust the paddle and the size expands from 72 inches to 86 inches. This makes it perfect for any paddler who has a height of over 5 feet. It is easy to use and set up and you can attach it or take it apart in less than 10 seconds. You can travel with it easily as it can be split into three pieces. Since the longest is only 36 inches, it is very compact. You can a free travel bag to carry it. Another excellent feature of the iGK Pure Carbon Fiber SUP Paddle is that it looks very stylish and is very comfortable to use. We suggest that you go for the black paddle over the red paddle though as it is made of pure carbon fiber. A couple reviewers mentioned that the clamp screws of the paddle need to be tightened before you use it. Most of the customers and reviewers mentioned that it is very light, easy to set up and very strong. The marking on the paddle makes it easy to adjust the height. The paddle is high-quality. It is easy to assemble and transport. You have to make sure that the clamp that adjusts the height of the paddle is tight as when you row hard, it starts to move. The center section is a bit longer than average. iGK is not a famous brand so though the product is good, we are not sure of the brand. When it comes to a reasonably priced and light carbon fibre SUP paddle, the BPS Adjustable 2-Piece SUP Paddle is an excellent contender. It is ultra light and gives you great performance. This paddle can be used by paddlers who are less than 200 pounds in weight. Even children can use this paddle. The paddle is very light at just 29 ounces. It floats very easily. It takes less than ten seconds to set up the length of the paddle to your preference. The BPS Adjustable 2-Piece SUP Paddle comes with a 12-month guarantee so you don’t have to worry if you are not satisfied with the paddle, you can just return it. BPS is a small family business. They specialize in water gear. This ensures that you get product support, after-sales service, and advice. Most of the customers found the paddle good especially since it is very reasonably priced. The paddle comes in three options with the carbon fiber paddle being the one we reviewed. The paddle is lightweight and very durable. It is comfortable to use and you can adjust it easily. It tracks very well. This allows you to paddle many stroked on a single side. This also makes your paddling easy so you can paddle for long distances without getting tired. There were comments that the screws for adjusting the length didn’t work well. Also, a couple of reviewers mentioned that the bag seemed more like a cover with a strap rather than an actual paddle bag. These Paddles are the middle ground between paddles that come with the paddle board packages and carbon sup paddles. These paddles are great for paddle boarders starting out who do not want to spend a lot of money off the bat. Still there are some good quality paddles to be had that can last a good amount of time. Most of these paddles are made of alloy/ aluminium shafts with polypropylene blades. The BPS Adjustable Alloy SUP Paddle is 3-piece adjustable SUP paddle has a strong shaft made of aluminum, a nylon blade, and a comfortable handle. It is strong and light. It is designed in New Zealand. It floats easily so there isn’t much risk of you losing it in the water. One of the best advantages of the paddle is that it has an excellent height range. It can be used by paddlers who are 4.6 feet and taller. You can easily adjust the paddle as per the height and it can be adjusted from 66 inches to 83 inches. Since it is lightweight, it can be used by children too. It can be set up quickly and easily. One of the things I like about the BPS Adjustable Alloy SUP Paddle is that it has a well-designed paddle bag. This bag protects the paddle. It can help you pack the paddle so that it is compact and easy to carry. Also, the bag is structured in three compartments, one for each piece of the paddle. This prevents the parts from rubbing against each other and getting worn out. It also has an inner lining that reflects heat. This prevents heating up of the paddle. Most customers say that it is light and strong. It is cheap and can be assembled easily. The paddle has a bag that comes with a sling and you can carry it easily and it gives protection to the paddle. Though the paddle is made of high-quality material, there are a couple complaints of it breaking. The Explorer Series Adjustable SUP Paddle is a three-piece SUP paddle which is excellent for beginners, rental shops and for casual paddlers. It is a high-quality paddle which is very affordable. It can easily float on salt water and fresh water. The paddle is rugged and can be used in rough weather and water conditions. The ruggedness of the paddle helps especially when it comes to beginners and renters. Beginners make mistakes while paddling and may hit into rocks, etc. Many renters don’t really bother about the equipment as you would your own. Since the shaft is aircraft-grade high-quality aluminum and the blade is made of polypropylene, the paddle is very durable and long lasting. You can change the size of the paddle from 67 inches to 85 inches. This takes less than ten seconds. The paddle is perfect for anyone who has a height of over 4.8 feet. The paddle weights only 2.2 pounds which makes it excellent to carry. You can dismantle the paddle into three pieces and put it in your car or take it when you are flying. Since the longest piece is 36 inches, you don’t have to worry too much about the space. You get a 12-month guarantee with the paddle and if you have any issue with it, you can return it and you get a full replacement. It is very easy to use. It takes a couple minutes to understand how to set it up the first time but then it’s easy. It is very lightweight and floats easily. Even though it was made of aluminum, it is very durable. A couple reviewers mentioned that the aluminum is slippery and having a grip would be helpful. The Own the Wave adjustable alloy SUP paddle is a three piece SUP paddle which is adjustable. It has a nylon blade which is very durable. It has a very strong shaft made of aluminum. It is very strong even though it is light. It is just 2.1 pounds. It has a very comfortable handle. The best part of this paddle is that it can be used by people of any height. It can be expanded from 66 inches right up to 83 inches. It can be used by people from 4 and a half feet onwards. Since it is lightweight, it is easy to be used. It can be used by anyone even children. When children are using it, it’s very important that the paddle should be light. It is very easy to assemble it, adjust the height and to disassemble it. You also get a 12-month replacement or money back guarantee. The paddle is very sturdy and light. It is great for a beginner and can be used by people of different heights. The shaft is filled with foam so it floats easily. This helps if you are a beginner or if this paddle will be used by children. A couple reviewers mentioned that there is a slight issue with the knob that locks together the two parts of the adjustable paddle.